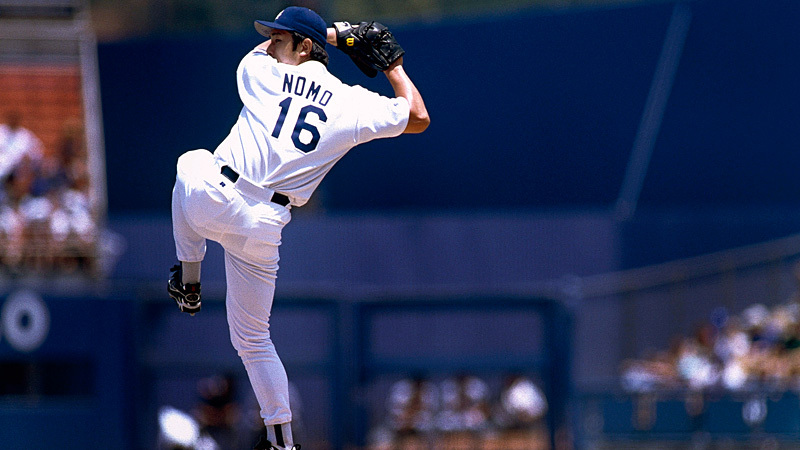 On December 20, 2001, Hideo Nomo signed a 2-year, $13.75 million contract with the Los Angeles Dodgers. The previous season, Nomo had led the American League with 220 strikeouts. I don’t know if Leroy Nieman jaw dropped at Nomo’s motion, but what a gift Nomo was to the MLB; all of the Japanese born and bred players; both on the mound and at bat adding so much to the visual pleasure of watching baseball and all their skill and now there will be a first ever middle infielder from South Korea-Jung-ho Kang. I hope he signs with the Bucs; plenty of games to watch against the Brewers.